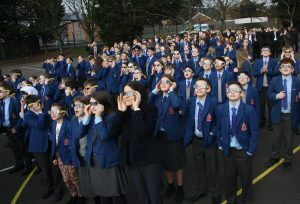 Everyone gathered to see the spectacular solar eclipse. 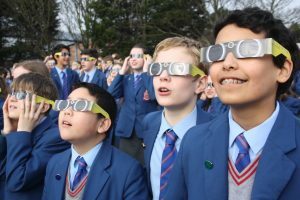 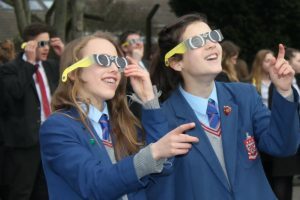 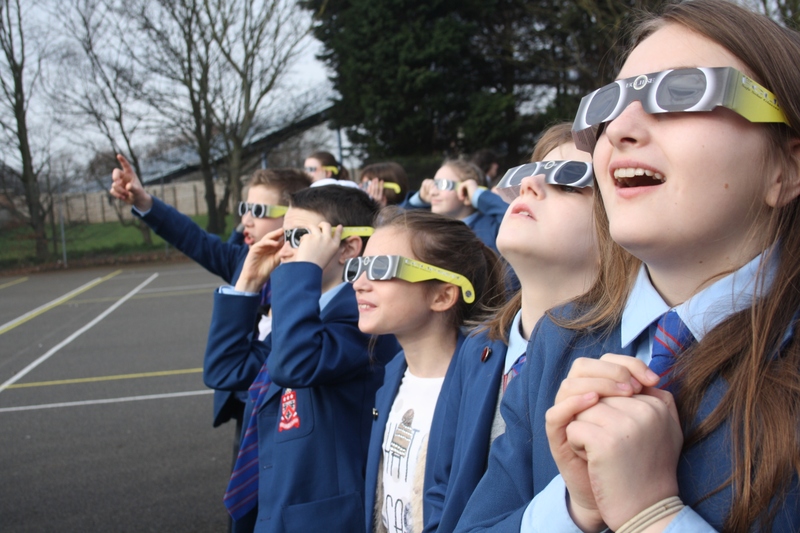 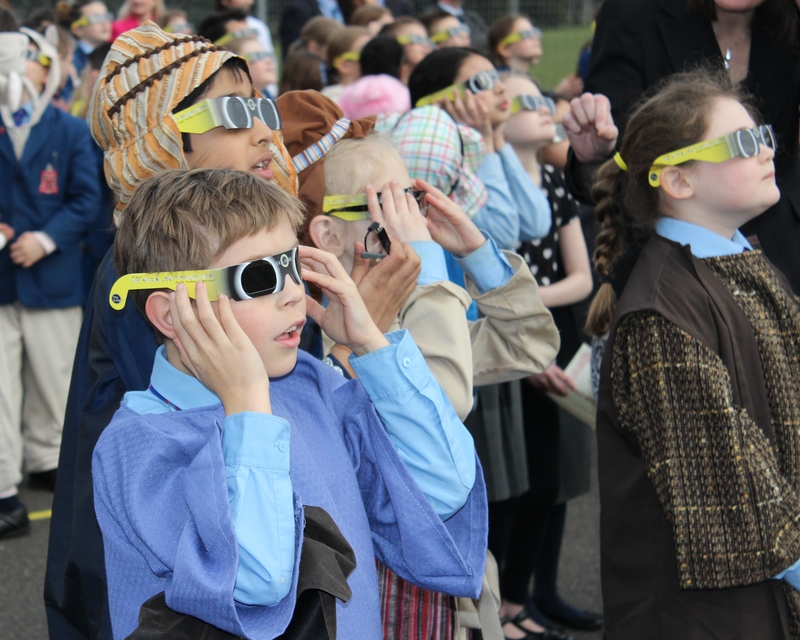 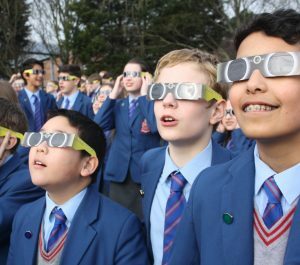 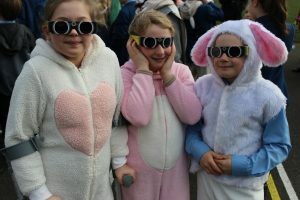 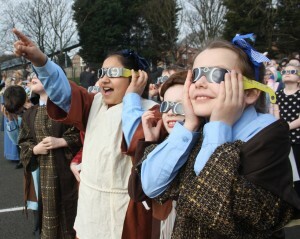 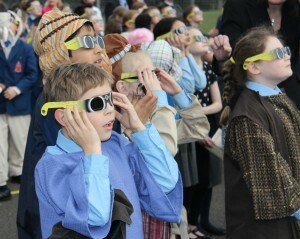 Pupils from the Prep and Senior School wore special protective glasses to witness this significant event. 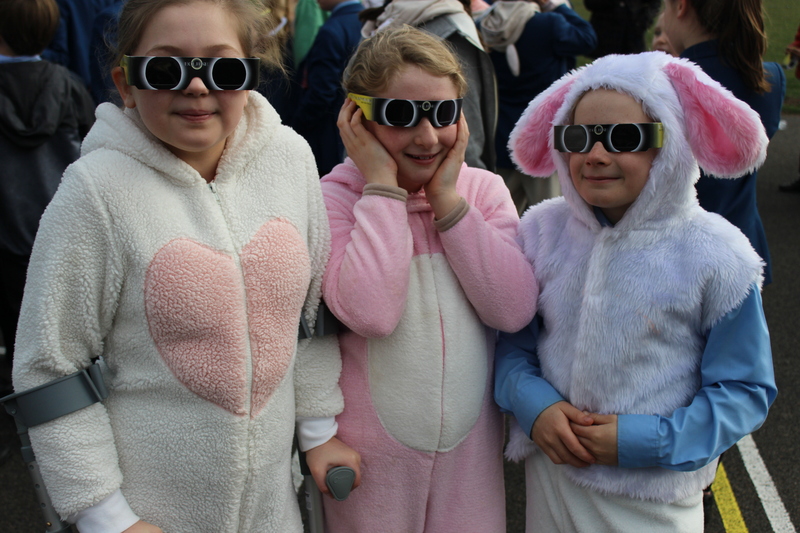 Even the shepherds and Easter bunnies, who had been busy rehearsing for their Easter performance, took a break so that they could see the amazing view! 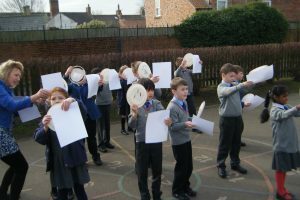 Over in the Nursery & Infants School children used home-made pinhole cameras and colanders to safely observe the shadow of the moon covering the sun. This was the biggest solar eclipse since 1999 some parts of the country saw 99 per cent darkness, but for others the eclipse was much less intense. 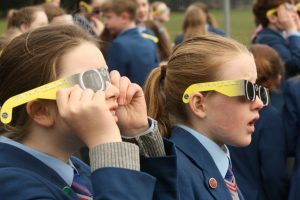 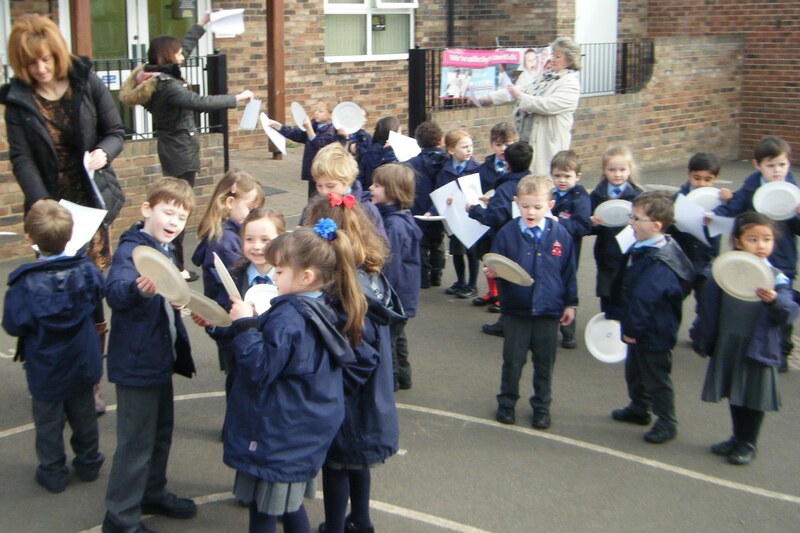 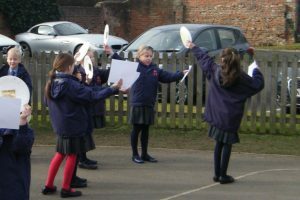 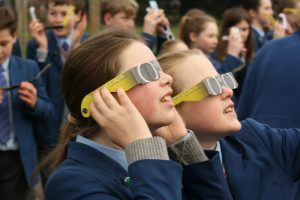 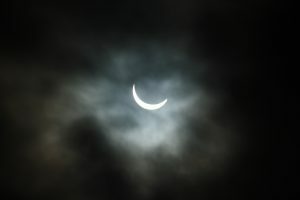 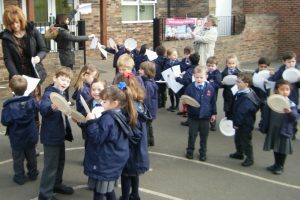 “Children have been learning about the eclipse in their science lessons and in assembly and finding out how this unique event will occur. 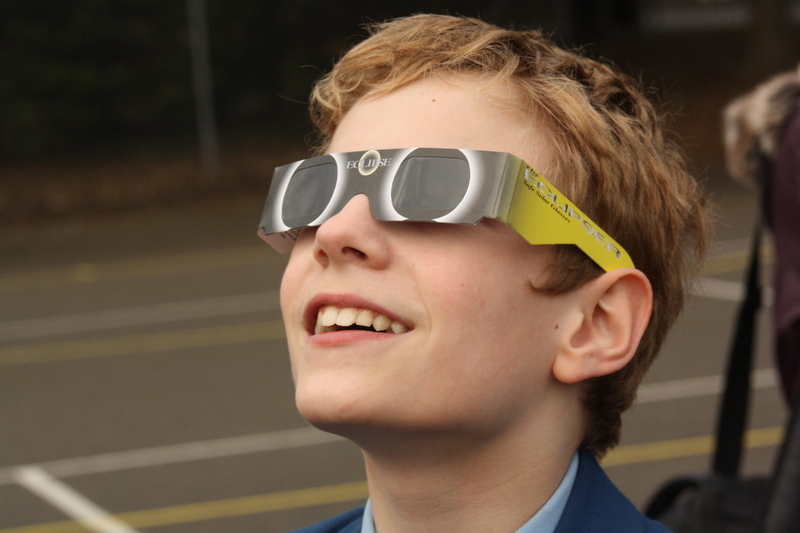 The pupils were very excited to experience their first ever solar eclipse, it really was a spectacular event”.